No one wants a fur baby that is always irritable, nauseous, and unsatisfied with his food. If your dog has been eating canned dog food (wet dog food) and suddenly turns its nose up at mealtime, it could be suffering from sensitive stomach and may require changing the food to a high-quality dog food such as dry dog food or grain-free dog food. There are a number of things that can make your dog suffer from a sensitive stomach. As one of the many adoring pet owners out there will have to determine the source of that tummy trouble, especially in adult dogs. 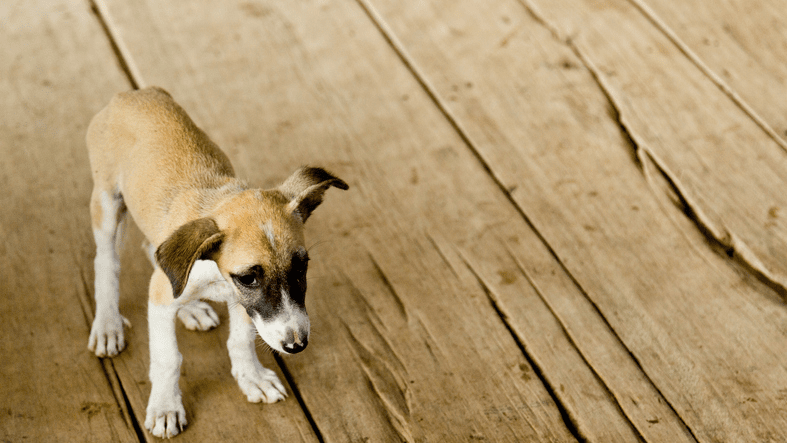 When your dog shows signs of an upset stomach (vomiting, loose stools, gas), it is important that you and your vet determine the cause and begin your pet on a specially formulated diet. Most often, a limited ingredient diet (LID) will be the place to start. So, what is the best dog food out there? Read on. This Hill’s formula gives your pet the exact nutrition needed for easy digestion. This made in the USA diet offers nourishing, natural ingredients like savory chicken meal and high-quality barley. Every ingredient is screened to meet the strict requirements for nutrition and purity that Hill’s is known for and is ideal for dogs with sensitive stomachs. Purina Pro Focus starts with nutrient-rich salmon for a protein-enhanced formula. Purina’s prebiotic fiber helps with stomach issues with a highly-digestible formula. 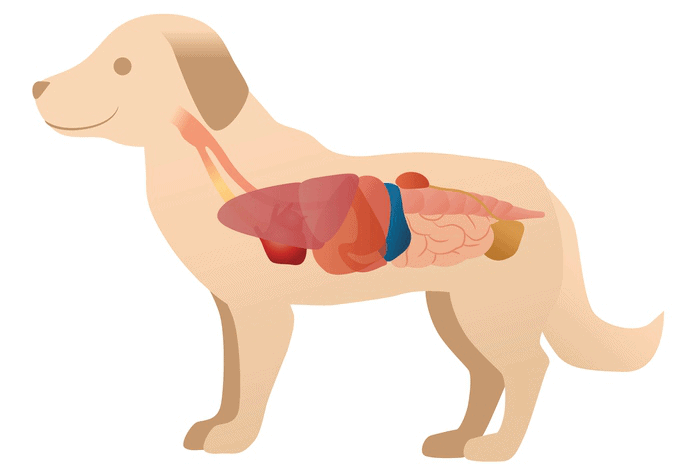 It sustains the valuable bacteria in your pet’s intestine. There are easily digestible carbohydrates and a punch of fish oil—the source of omega-3 and omega-6 fatty acids for healthy joints, skin, and a healthy coat. Pro Focus has no fillers, corn, or soy. Known for its recipes made from all-natural ingredients, Wellness Simple Natural has a limited ingredients formula to help your dog with a sensitive stomach. The formula starts with high-quality salmon, rich in protein and omega fatty acids. You won’t find any wheat, gluten, or grans in this recipe. Wellness Simple also contains pre- and probiotics to help with easy digestion. The recipes offered in the Blue Basics LID Adult line all include high-quality proteins; are enhanced with vitamins, minerals and antioxidants; omega-3 and omega-6 fatty acids; and easily digested carbohydrate sources. As with all Blue products, each recipe is free from artificial flavors, colors, preservatives, or any meat by-products or fillers. The various formulas offered by Natural Balance LID include duck, venison, chicken, and fish, each paired with either white or sweet potatoes. You will never find grains and fillers in Natural Balance. The limited number of ingredients is specifically designed for dogs with sensitive bellies. Nature’s Recipe Grain-Free formulas are perfect for a pet with a sensitive tummy. The recipe starts with real salmon, a high-quality protein for muscle maintenance. Sweet potatoes and pumpkin are complex carbohydrates needed for nonstop energy. You will never find any corn, wheat, or artificial colors and flavors in Nature’s Recipe, but the antioxidants from fruits and vegetables help boost your dog’s immune system. Instinct LID recipe contains only one animal protein and one vegetable for your pet with a sensitive belly. The grass-fed lamb is easily digestible and gives your pet every necessary amino acid. Instinct has high levels of omega fatty acids and antioxidants for healthy skin, coats, and immune systems. This made in the USA food line is packed full of nutrition. The recipes include grain-free, gluten-free formulas with chicken, beef, or lamb as the first ingredient. The remaining ingredients include a multitude of superfoods to help keep your pet healthy and avoid an upset stomach. The flaxseed, omega fatty acids, spinach, sweet potatoes, and green beans all help with healthy skin and coats, as well as make the food easy to digest. Canidae’s Life Stages Lamb and Rice formula provides your pooch with high-quality, lean protein starting with lamb and salmon oil. This food is veterinarian formulated with three probiotics, antioxidants and both omega-3 and 6 fatty acids. This recipe is good for any age or breed. The number one ingredient in this NUTRO recipe is lamb, which is rich in amino acids for healthy muscle development and metabolism. This clean recipe is made with ten ingredients or fewer and promotes tip-top digestive health in dogs with sensitive stomachs. This made in the USA recipe uses non-GMO ingredients with nothing artificial. Ollie Dog Food is made with human-grade ingredients sourced from family-owned and operated farms in the United States and Australia. The food starts with either beef, chicken, turkey, or lamb. Then, Ollie’s adds fruits and vegetables cooked slowly to preserve nutrients. Ollie’s tops of the recipe with superfoods like chia or flaxseeds that provide omega-6 fatty acids. Ollie’s never uses fillers, by-products, or additives. Each recipe offered by The Farmer’s Dog is tested on humans first using USDA-approved ingredients. Every batch is made to order and shipped to you within days of cooking. The Farmer’s Dog is never frozen, nor will you find it sitting on a grocery shelf. These veterinarian-developed menus are designed to optimize nutrition and are never made with fillers or artificial ingredients. Once you know your pet has a sensitive stomach, it may take you some time to find the perfect food. 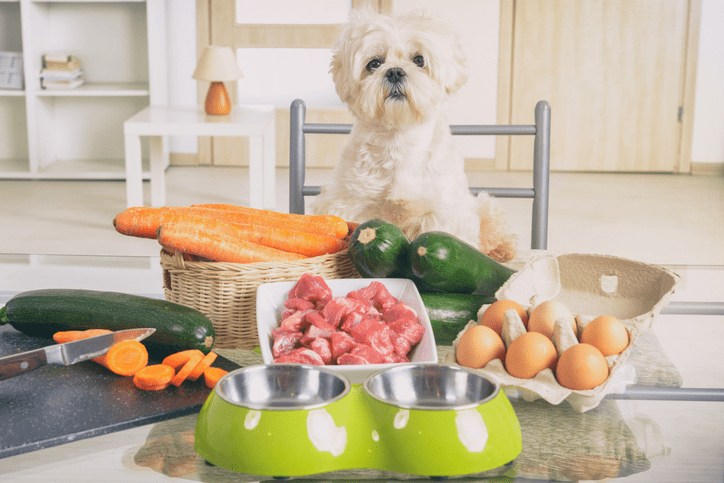 The foods on this list are designed specifically for touchy tummies and you simply need to find the one your pooch will crave. Always look for the freshest fixings, organics, all-natural, and high-quality ingredients to help your dog avoid tummy trouble. After you have the right food, your pup can live a carefree, happy, and healthy life.